An evil wizard has attacked the Hidden World, a kingdom of beauty and enchantment, leaving a path of destruction in his wake! 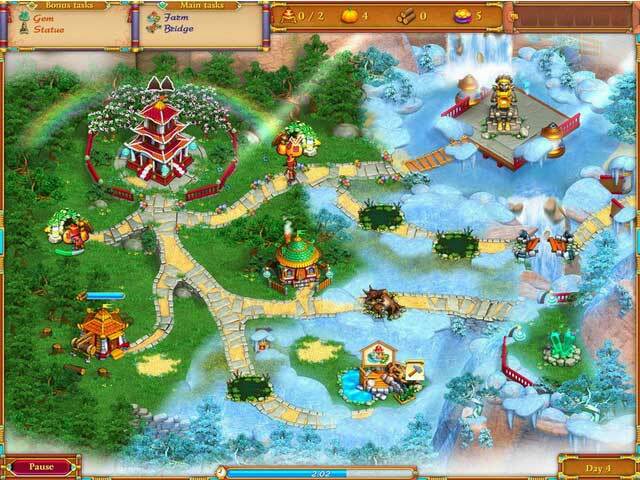 Your mission: Gather the forces of good and repair the broken land one village at a time! As you collect the resources you need, you must also fend off the wizard's followers, employ powerups that give your workers a boost, and complete the renovations before time runs out. The citizens of Hidden World are counting on you, so don't delay! 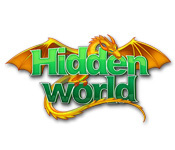 Hidden World is rated 4.0 out of 5 by 26. Rated 5 out of 5 by aprilpeno from Hidden World Workers don't go back to the house every time. They go to the next obstacle to clear. Rated 5 out of 5 by sheffelf4 from Speedy Great story line. Puzzles are easy just a lot of clicking. Rated 5 out of 5 by cheryledz from Love it!!!! I absolutely LOVE this game!!! There should be more like this!! Not only that, when I did get stuck, there was actually help in the Forum!!! I've been getting $2.99 games that are older and it seems hard to get any help. This game, the help was there and I enjoyed every bit of it! I extremely enjoyed it and it was challenging. You could go back to the map and replay a level to get a trophy, even in relaxed mode. GREAT GAME!!!! I will be playing this over. Even better than Tribal games which I love a lot!! You can't go wrong on this one! LOVED it! Rated 5 out of 5 by TopazMystique from FINALLY! A developer that understands "relaxed time management"! This was a most welcome diversion from normal time management games! I am not very good at them mainly because of the speed needed in most TM games. I was disconcerted when I saw that playing in relaxed mode was also timed but the times are so generous (like an hour or close to it on some), it provides plenty of time to complete all the goals and also watch the action (something I never seem to be able to do in most TMs). I also had time to upgrade each building to its maximum level even if it was not required to complete the goals. Although I did have to restart several levels because of poor strategy, it wasn't one of those games that I had to keep repeating and repeating to get a gold. Most levels I was able to get the golden lantern on the first try. Graphics are beautiful, bright and colorful and the animations are cute. I would have liked to be able to save a picture of each level after completion since I just love the color palette and graphics. I thoroughly enjoyed playing Hidden Worlds even if it is a click-fest. It's one that I will definitely play again... something I cannot say for most TM games. Usually if I manage to finish them, I'm so glad to be done with them that I never want to play again. Hoping for a sequel! Rated 5 out of 5 by Jasany from Hidden World become my favorite This game make me addictive to it. The story line and the challenge ate exellents. I trully recommend the game to everybody. 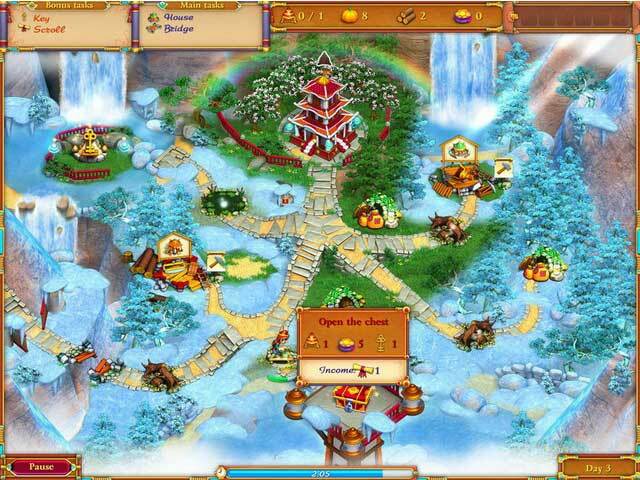 Rated 5 out of 5 by biatch77773 from Excellent time management game! I absolutely loved this game! I have beat it several times and when im bored it is the game I go for. 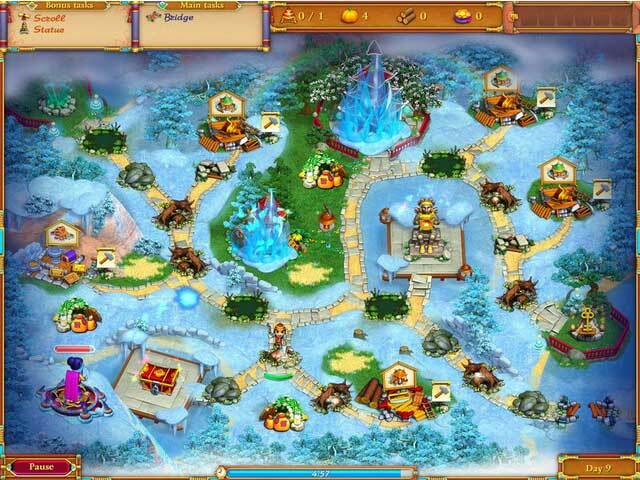 Rated 5 out of 5 by frini7 from exciting game! An excellent game , very beautiful graphics, nice story. A very interesting game that I highly recommend to time management game lovers. One of the best I have ever played. Rated 5 out of 5 by golden9 from Fun game visuals great, could work at better sound effects. Overall fun game with challenges. Rated 4 out of 5 by debra52 from What's up with level 42? I played this game ages ago, went back to play it again, and can't figure out how I finished level 42. No matter what I do there doesn't seem to be a way to get the right combo of food and wood to get very far.